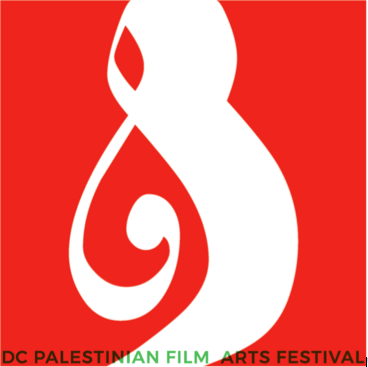 The seventh annual DC Palestinian Film and Arts Festival (DCPFAF) will take place Oct. 5-8 at E Street Cinemas and Studio Theatre. The film portion of this year’s festival explores the creative potential of memory, trauma, and resilience through 11 films, three panels, and live conversations with directors, artists, and critics, including spotlight artist Hollywood actor, director, and television producer Cherien Dabis (Amreeka, May in the Summer, The L Word, Empire, Quantico). The festival’s opening film on Thursday, Oct. 5 at E Street Cinemas is Raed Andoni’s searing feature-length hybrid documentary on Palestinian prisoners, Ghost Hunting (Best Documentary, Berlinale). The film will be followed by a panel discussing the trauma of mass incarceration on Palestinian prisoners, connecting this struggle to that of incarcerated minorities in the United States. Saturday, Oct. 7 will feature a full day of film programming. In addition to the US premiere of Coffee for All Nations, a moving story about making the most of the land you inhabit, the “Framing Palestine” panel will explore the production of Palestinians on and off screen. On Saturday evening, DCPFAF Spotlight Artist Cherien Dabis will share her humorous and heartwarming feature film Amreeka with festival goers and engage in an intimate conversation about navigating Hollywood as a Palestinian-American woman, her own journey into production and screenwriting, as well as the feat of portraying nuanced Palestinian characters in her films. On Oct. 8, musician Maysa Daw of the Palestinian hip-hop group, DAM, and director Sami Alalul will join audiences for a panel on music production in Palestine, “The Beat Goes On,” to present the world premiere of From Beneath the Earth, Mideast Tunes’ new film exploring Palestine’s indie music scene. Live performances at the seventh annual festival include a prelude at the Kennedy Center’s Millennium Stage on Oct. 2, “I Am From There, I Am From Here: A Palestinian Showcase,” as well as an evening of live storytelling on Oct. 6. The festival will close on Oct. 8 with Chicago-based artists Ahmed Hamad and Hamze Allaham, who will bring their viral video sensation, Dabke is Life, to the DCPFAF stage. Choreographer and dancer, Hamad, will dance to beats played by flutist, Allaham. The duo will also screen the Dabke is Life film series. To learn more about the DCPFAF and the 2017 program, visit www.dcpfaf.org.